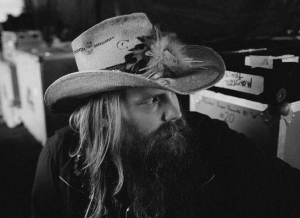 Chris Stapleton brings traditional country back to country radio. What a crazy ride to the top it’s been for Chris Stapleton. I have no idea how he feels, but from a fan’s perspective it’s pretty incredible. I kind of knew about him before his career took off. His name would show up on a few hit songs, which is no small feat. He has also released some music in the past. But then at the CMAs he won everything and now is up for Grammy awards. His album has been selling like crazy and now this new single is rising on the radio charts. I love that Chris’s career is taking off. He seems very diverse with his style. When he sings songs they have an edge to them and kind of blend between blues and country with a little contemporary in there for good measure. And it all works out to something that people are loving. I like it most because there are some real traditional country elements especially in this song. Yes, we’ve heard this story before. It’s about a guy that knows he messed up real bad with a woman. He’s on his own now and he knows exactly why. This song is a throwback and it’s really cool to hear it doing well on the charts. You could easily see someone like Waylon, Haggard, Jones or even Alan Jackson or George Strait singing this one. But I’m glad it’s Chris and I’m glad people are loving this one. I hope he can have sustained success. He kind of reminds me of Jamey Johnson and I hope he can keep it rolling.